The view from the tram at Grand Teton Village in Jackson, Wyoming. This entry was posted in photography, photos, travel and tagged skywatch friday, travel by Lilli Day aka bookbabie. Bookmark the permalink. Breathtaking view.. Beautiful white cloud..
Great capture my friend.. Well done..
Ohhh. So dark and ominous. I love it. What an incredible experience it must have been to see that view in person. 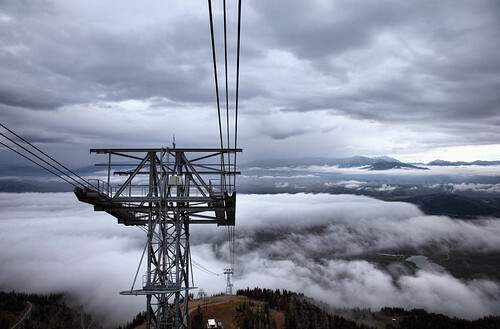 I’ve been to Jackson Hole, Wy, but I didn’t ride a tram that high up in the mountains. Such an amazing capture! Spectacular view! Obviously, not something we were able to do when we were there, but I’m already thinking about the next visit. LOL! Fantastic shot! Do love the view from the top of the mountains. Did it once in Austria and will never forget the view! OH my goodness! What a magnificent sky!! I’ve simply got to spend some time camping around Jackson and the Tetons next summer! Thanks for a site I’ll probably never see in person. What a scene! Beautiful view, Lilli…. That would be so neat!!!! 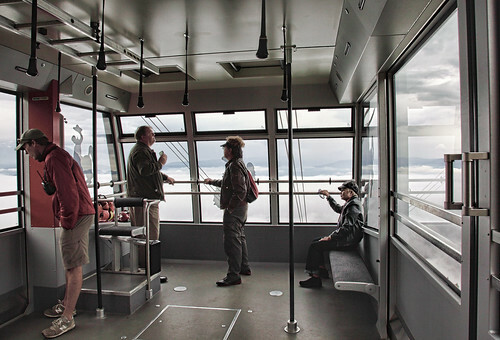 We have a tram in Gatlinburg–going up to the ski lodge. It’s nice –but nothing like the one you show here. What a view!!!! What a marvellous and special view! Very good captured! Great shot. Above the clouds in Wyoming. Looks like a beautiful place. Bookbabie, what a silvery place to be! I love the Tetons! Another blogger named Dawn has been blogging from there recently also! I have never had this view. Stunning. I love the second photo too ~ I especially like to take these type of pics. Fabulous. That is sky riding as well as watching. Fabulous view and looks a bit scary. Now that is what I call a skywatch picture. Great, fantastic, beautiful, and even mystic. my first thought was how did she rise up above the clouds!